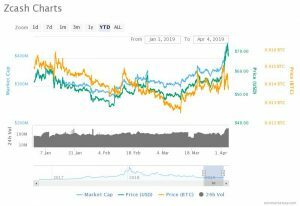 Dogecoin (DOGE) Overpowers Zcash (ZEC) in a 24-hour span, will VeChain (VET) Hold its Oscillation and Trend Above its Comfort Zone? Dogecoin is an internet meme-based cryptocurrency created by Billy Markus, Oregon, and Jackson Palmer. Dogecoin diverged from Litecoin in 2013. It had been rewarded for the creation and sharing of quality content on Reddit and Twitter. Dogecoin is a fun, light-hearted cryptocurrency that would be more appealing to the core Bitcoin audience. 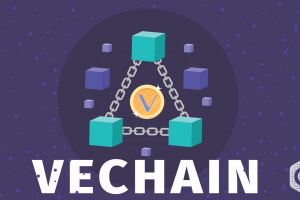 VeChain started in June 2015 is an enterprise-focused blockchain ecosystem that aims to enhance supply chain management by connecting blockchain technology with the real world through a comprehensive governance structure, a robust economic model and an advance IoT integration. Haier, a Chinese electronics and home appliances company announced a triumvirate partnership alongside on April 1st. 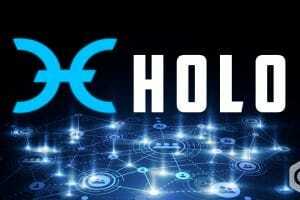 This enhances the growth of cryptocurrency beyond the crypto grounds with a view to connecting between all the parties including the consumer, as VeChain and Norwegian tech consulting firm DNV GL partner with Haier’s newly launched Internet of Clothing (IOC) platform COSMOPlat. 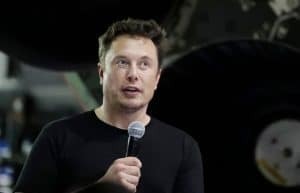 Also, as per the whirling news by Forbes, Tesla’s Chief Executive Elon Musk has astonished Bitcoin and the cryptocurrency by saying that the meme-based Dogecoin is his “favorite” cryptocurrency. 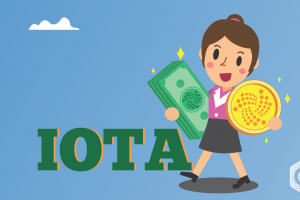 <APRIL FOOL’S JOKE!> The US SEC has approved two applications related to the Bitcoin-powered exchange-traded funds (ETFs.). 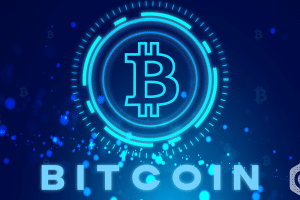 Bitcoin lovers must be very happy, and the same has been reflected by boosting the market upward, and the same has shown drastic effects on the market from the last two days. Also, needful to the point that the hike in the market is not due to silly April fool’s joke. Therefore, looking into yesterday’s statistics, Dogecoin was ranked on 25th position and what we see today? It has jumped to the 22nd position showing a sudden roll in last the 48hours. 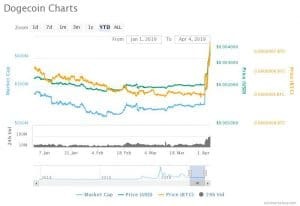 The steady-going market of Dogecoin currently makes the grade by hitting the price (USD) 57.24 % higher than the price (USD) 0.002346 observed at the start of the year 2019. Since last one month, the coin was stably maintaining a resistance level of price (USD) 0.002085 until last 48hours. While penning about the success of Dogecoin, the highlights about Zcash (ZEC) were essential to point. 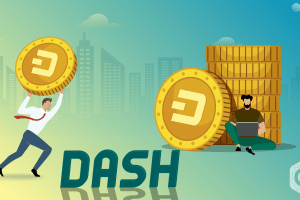 Zcash (ZEC) launched in 2016, is a decentralized and open-source privacy-focused cryptocurrency that enables selective transparency of transactions. Zcash, until yesterday was ranked at 22nd position, is now slipped to 23rd, striving to position between Dogecoin and VeChain. 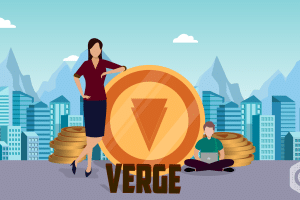 Facing a stiff competition with Zcash amongst the list of top 25 cryptocurrencies, VeChain was ranked on 23rd position yesterday is now on 24th. Yesterday the value of VeChain was 0.003962. This shows that the coin has been showing a rise but a comparatively less increasing rate as compared to Dogecoin. 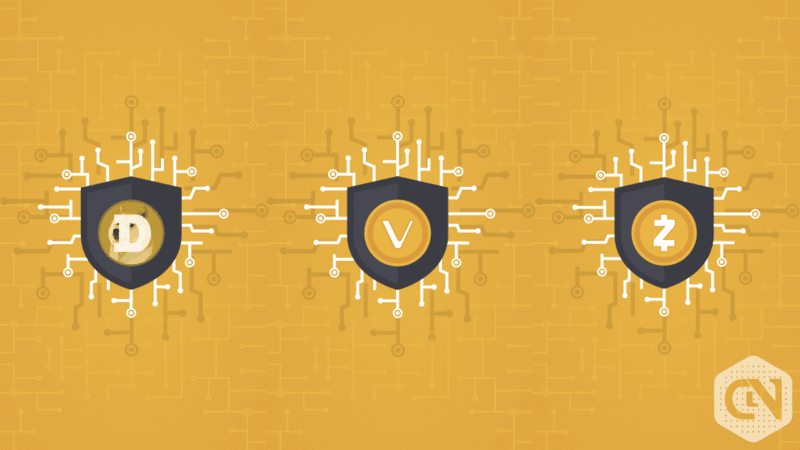 The market rank slips observed in the position of these 3 coins viz., Dogecoin, Zcash, and VeChain correctly show that Dogecoin has made a noticeable surge whereas the rest 2 have been slipping off their positions which remarks Dogecoin to be a highly favorable “strong buy” investment for the investors. 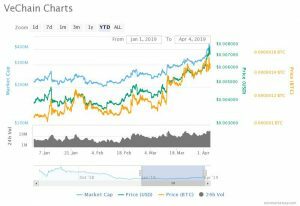 Thus, concluding as per the statistics and charts from coinmarketcap, we see that Dogecoin has a positive toss climbing upwards whereas Vechain is oscillating. This indicates that investors should not be simply pleased in the event of sudden market swings, though not a dramatic down pour is predicted.